JPNAGAR - NEXA | A New Destination. A New Experience. At Maruti we take your privacy seriously. Please read the following to learn more about our terms and conditions. 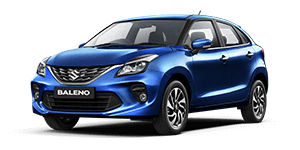 This covers Maruti's treatment of personally identifiable information that Maruti collects when you are on Maruti Suzuki site and when you use our services. 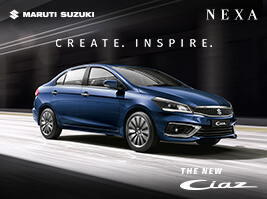 This policy also covers Maruti's treatment of any Personally identifiable information that Maruti shares with you. This policy does not apply to the practices of companies that Maruti does not own or control or Maruti does not own or employ or manage. Maruti collects personally identifiable information when you register for a Maruti account. When you choose the services and promotions. 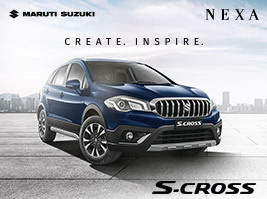 Maruti may also receive personally identifiable information from our business partners. When you register with Maruti, we ask for your name, e-mail address, birth date, gender, occupation, industry and personal interest. Once you register with Maruti and sign in to our services, you are not anonymous to us. 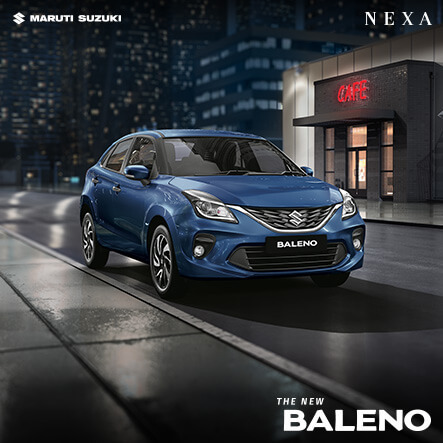 Maruti uses information for three general purpose: to fulfill your requests for certain products and services and to contact you about specials and new products. Maruti will not sell or rent your Personally Identifiable Information to anyone. When we find your action on the web site violates the Maruti terms and condition or any of your usage guidelines for specific products or services. Maruti may edit this policy from time to time. If we make any substantial changes ,we will notify you by posting a prominent announcement on our pages.